Several research projects at our Division are focused on molecular and cellular mechanisms that contribute to the development of severe infections caused preferentially by bacteria, but also by viruses and fungi. The starting point for this work has often been the discovery of bacterial surface proteins and enzymes that interact with human defenses (innate and acquired immunity and blood coagulation). We also study the nature and significance of inflammatory responses in infectious diseases and other pathologic conditions. 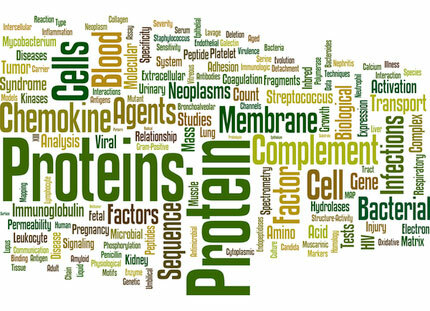 In this work we use a combination of different methods and techniques: protein chemistry, microbiology, molecular biology, cell biology, imaging techniques, animal experiments, and analysis of patient samples. Our aim is that the obtained knowledge will contribute to novel preventive, diagnostic, and therapeutic opportunities in clinical medicine. Our overall objective is to pursue experimental and fundamental medical research of high quality in order to tackle significant clinical problems. We are convinced that research performed at a high level of abstraction is required for breakthroughs generating novel biomedical and clinical implications. For more information, please see our sub-units and our projects. Tilde Andersson, Gizem Ertürk Bergdahl, Karim Saleh, Magnúsdóttir, H., Stødkilde, K., Andersen, C. B. F., Lundqvist, K., Jensen, A., Brüggemann, H. & Rolf Lood, 2019 Mar 5, In : Scientific Reports. 9, 3596. Gizem Ertürk Bergdahl, Tilde Andersson, Maria Allhorn, Sofie Yngman, Rainer Timm & Rolf Lood, 2019 Feb 27, In : ACS Sensors. Van Vlasselaer, A., Magnus Rasmussen, Johan Nilsson, Olaison, L. & Sigurdur Ragnarsson, 2019 Feb 27, In : Open Heart. 6, 1, e000926.